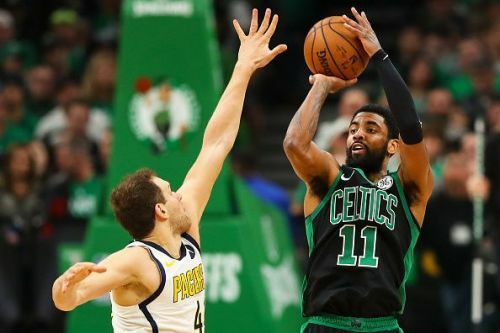 The Boston Celtics have won their playoff opener at home with an 84-74 win against the Indiana Pacers. 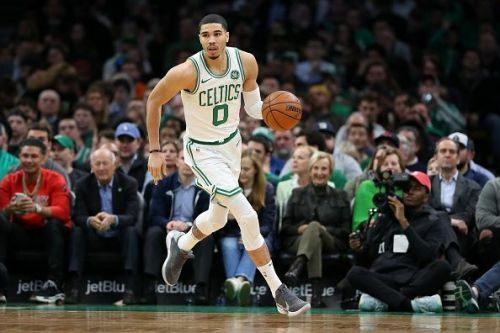 The low scoring game was an offensive nightmare for both teams, but the gritty Celtics were able to pull through by playing well during the crucial moments. Kyrie Irving finished with 20 points, 7 assists and 5 rebounds while Marcus Morris Sr. and Jayson Tatum chipped in with 20 and 15 points respectively. Corey Joseph and Bojan Bogdanović were the top scorers for the Pacers, with 14 and 12 points respectively. Both teams went back and forth in the first quarter, with each scoring 20 points. Morris was particularly effective in that quarter, scoring 12 of his 20 points during the period and keeping the Celtics afloat. In the second quarter, the Pacers outplayed the home team to take a seven-point lead by the end of the half. In the third quarter, the Celtics had arguably their best defensive quarter of the season by holding the Pacers to eight points with only two made field goals. Terry Rozier made an incredibly difficult buzzer-beating 3-pointer to put the Celtics up by 11. In the last quarter, it was smooth sailing for the Celtics, who led by as many as 22 points during the period. It was an inefficient game for both teams. Boston connected on 36.4% of their shots while committing 20 turnovers. Indiana shot 33.3% from the field and had 13 turnovers. The Pacers had more assists, blocks and points in the paint than the Celtics. However, their abysmal free throw shooting (57.1%) and rebounding (they were out-rebounded 55 to 42) led to their loss, in addition to the spectacular defense by the Celtics in the 3rd quarter. Al Horford was rock solid with 10 points, 11 rebounds and 5 assists. In the end, the star power and playoff experience of the Celtics pushed them over the line. I expect them to take the series 4-1 and meet the Bucks in the second round.